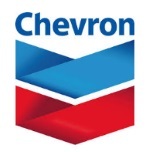 édité le 30/03/2015 - Plus de news de "CHEVRON" - Voir la fiche entreprise de "CHEVRON"
Chevron Corporation's wholly owned subsidiary Chevron Global Energy Inc. announced that it has entered into an underwriting agreement for the sale of its 50 percent shareholding in Caltex Australia Limited (CAL). It is expected that these shares will be sold to a broad range of Australian and global equity market institutional investors. "This transaction reflects Chevron's commitment to regularly review our portfolio and generate cash to support our long-term priorities. It is aligned with our previously announced asset sales commitment," said Michael Wirth, executive vice president, Downstream and Chemicals. "We appreciate the strong performance of Caltex Australia over the many years we've been a shareholder, and look forward to a mutually beneficial supply and brand relationship for many years to come." Mark Nelson, president, International Products, Downstream and Chemicals, Chevron, said: "Asia-Pacific is a core strategic focus for Chevron's Downstream business and we remain focused on ensuring our operations, portfolio and investments are well-positioned to meet the region's growing demand for energy." Today's announcement does not alter Chevron's focus on moving the Gorgon and Wheatstone liquefied natural gas (LNG) projects towards start-up. Chevron is one of Australia's largest foreign investors and is the largest holder of natural gas resources in the country. Caltex is a prominent brand in the Australian petroleum market. The current trademark licensing agreement between Chevron and CAL will remain in effect following the transaction. Chevron will continue to ensure a reliable, high-quality supply of product is available to CAL to supply to its retail and reseller franchise network. Chevron is also committed to seeking long-term relationship opportunities with CAL.